I’ve never moved so fast to buy a product! I got the email from Space. NK at 9:01, and by 9:03 this palette was mine! 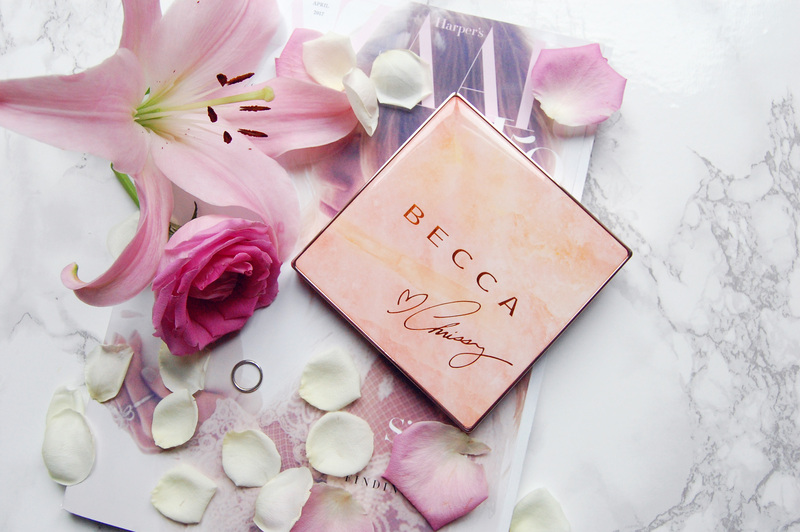 The BECCA x Chrissy Teigen collaboration was always going to be stunning. Her makeup is flawless, dewy, and neutral, exactly what BECCA stands for. But when it comes to highlighter, I find her look subtler than I’d associate BECCA with. This collaboration is different, and I’m sold! The palette is gorgeous, with its slick coral mixed with quartz outer shell. The rest of the packaging is rose gold, and if we’re going on aesthetics alone, it’s one of the prettiest things I own! I love the weight to it, as it feels sturdy but not at all heavy. Inside are two generously sized highlighters, and two smaller pans, one a bright pink blush, and the other a bronzer. It’s the ultimate kit for glowing Cali girl skin! There’s Hibiscus Bloom, described as a luminous coral pink, but I don’t see the coral. It’s bright, but applies quite sheer and is buildable, which I much prefer than outright insane pigment directly on my skin. Malibu Soleil is a subtle sun-kissed bronze, more of a luminous amber gold, which I prefer to use to amplify a contour shade for a hint of light and warmth. Of all in this palette, it’s the most muted in tone. For the highlighters, there’s Rose Gold, a pink infused gold, and Beach Nectar, my favourite of them all, a peach infused gold. It’s the Baby Spice to Champagne Pop’s Scary Spice! Despite how subtle the formula of these powders is, it’s still incredibly long lasting. I’ve worn these highlighters without any base, they still lifted my complexion and the glow remained all day. Otherwise, they don’t move, there’s zero fall-out when taking brush to pan, and the pigment is reliable. 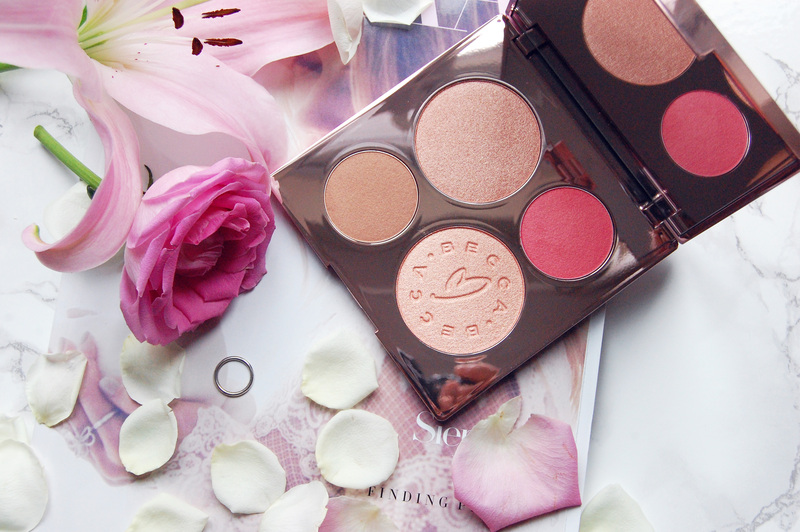 I normally don’t use limited edition products much, but this palette has been a daily staple. Which means I’m going to need a backup, right? this palette is just beautiful. i can't wait until sephora opens here so i can finally get my hands on some becca products. I wish they would hurry up and finally open up in major European cities! It's such a good brand! I hope you can get some soon. This looks lovely! I love the packaging too, dreammmmy! It's so pretty! Other things stick to it, it's so polished. But it hasn't spoiled one bit so far. I thought the same at first, but the highlighters are quite subtle in contrast with the mainstay highlighters. I've gotten so much use out of it. I agree, but then again I am a bit BECCA crazy! I'm a massive fan of this palette. I treated myself to it and it's so lovely and the packaging is absolutely gorgeous! I know what you mean, it's so hard to stop using it!